The term "Personal Information" refers to any information that can be used to identify you as an individual. It can include, among other things, your name, address, age, gender, personal financial history and social insurance number. When you visit our web site, you are initially given a "cookie", and your computer is assigned an ID number. A cookie is a commonly used device that tracks an individual user's preferences, and is capable of enhancing your visit to the site. Cookies allow us to provide a customized experience without the visitor having to remind us of his or her preferences each time she or he visits our site. Our cookies do not contain any personally identifying information. GLK PREMIER cookies also do not follow visitors when traveling on the Internet after leaving the GLK PREMIER web site. If you wish, you may also submit your e-mail address in order to be placed on a subscription list or to receive other information. You will be placed on these lists only when you indicate your desire to be included. In deciding whether or not to join such lists, please note that they are only used for internal purposes - we do not sell or rent our lists to anyone. In the event you choose to join one of our lists, you may ask to be removed from the list at any time. Visitors will always have the ability to accept or decline any form of communication from GLK PREMIER. Your credit card number will be verified using a checking sequence, but we do not authorize any payments at this point.The payment can be made up on your arrival. 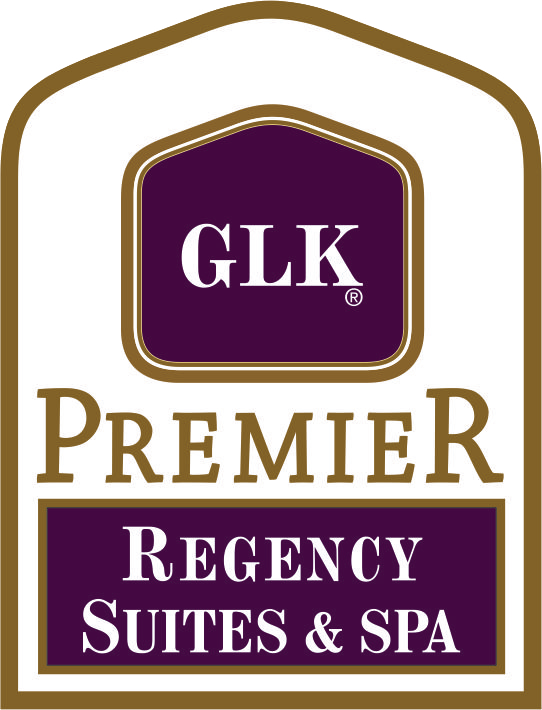 Once your reservation is confirmed, GLK PREMIER will be sent all of the reservation information. From this point the information is sent to the selected hotel in exactly the same way as if you called us directly or if your travel agent made the reservation. GLK PREMIER ensure that all Personal Information is kept in a secure location, be it a database or filing cabinet. Furthermore, we take steps to ensure that only designated individuals have access to this information. In order to serve you better we also store certain guest information in our Guest Reservation System will keep all the guest informations in a a secure customer database stored on a dedicated server located in USA. We also store other transaction information in guest reserevation, including the number of stays you have had at properties managed GLK PREMIER and the number of nights of each stay. We do not share this information with other hotels. We may also use this Personal Information to advise you of promotions or to inform you of offers or other information that may be of interest to you. In order to do this, your information may be shared with a third party, including a customer relationship management company and/or a marketing and communications company. These companies are under contract with GLK PREMIER and must agree that guest information will never be sold, rented, exchanged or in any way transferred. Finally, we may wish to contact guests to conduct surveys or focus groups to receive your views of our properties and service delivery. Such information may be collected by a third party under contract with us and they will be required to protect your Personal Information as explained below. Occasionally we will combine information from a number of guests to better understand trends and expectations of our guests. Where this occurs, all identifiers are removed so that the aggregate information cannot be linked to specific guests. Information is shared between certified data privacy personnel at individual GLK PREMIER in certain limited circumstances, particularly where health or safety concerns have arisen in the past. We will only share Personal Information about you outside GLK PREMIER without your consent, where: (a) it is required or authorized by law (for example, in response to a legal subpoena); (b) it is required to provide you with services you have requested in which case you will be considered to have implied your consent (i.e. car rental); (c) if your stay has been paid for by a third party we will provide billing information to the paying party; (d) if you have failed to pay amounts owed to a property. If GLK PREMIER suspects any unlawful activity is taking place, it may investigate and/or report its findings or suspicions to the police or other relevant law enforcement agency. We understand that you may like to know what Personal Information we hold about you. We are happy to assist you with your request. To protect your Personal Information, however, we require that you prove your identity to us at the time your request is made. You may make a request to the guest history at the Hotel where you stayed or to the Corporate guest history as set out below. The above information is required to create an audit trail of how the request has been handled.Where a request is made, any correspondence or application may be kept and added to your Personal Information. GLK PREMIER reserves the right to decline access to your Personal information under certain circumstances. Where your Personal Information will not be disclosed, you will be provided with the reasons for this non-disclosure. Your Personal Information will be stored for the period of time required by law in the jurisdiction of any hotel holding the information. It may be stored indefinitely by GLK PREMIER as long as there is a business purpose for doing so. From time to time we may delete your Personal Information. GLK PREMIER manages properties on behalf of third party owners. Guest information required for the business transaction between the guest and the property is shared with the property owner, but all other Personal Information is considered to be proprietary to GLK PREMIER and is not shared with property owners. If we cease to manage a particular property, all Personal Information remains GLK PREMIER. Guest information that is historically shared with the property owner, is retained by the property owner.